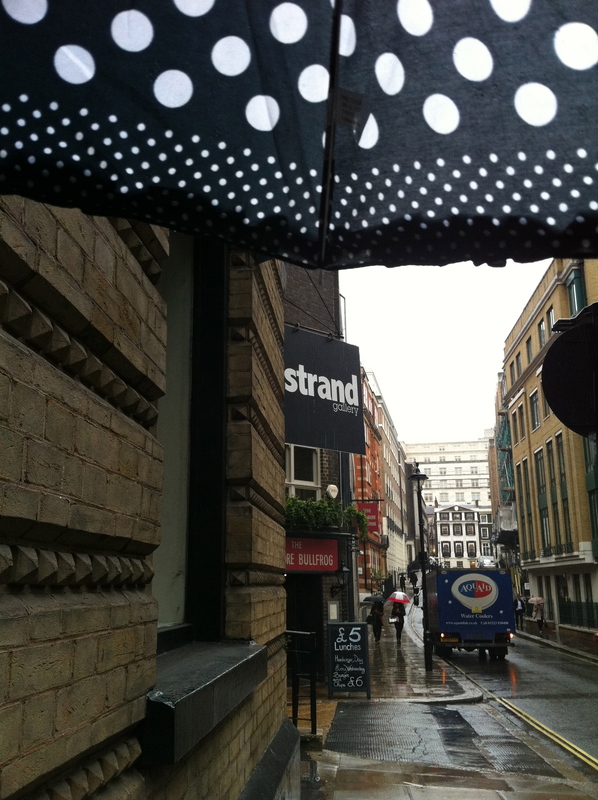 Adventure Wednesday/London Raining on my parade! I don’t have class on Wednesdays, so I thought that would be a good time to seize the opportunity to explore this large city I live in! I used Time Out London to find some attractions around town. Side note: it would be convenient from a catchy naming standpoint to have Tuesdays (or Thursdays) off, so I could call them Time Out Tuesdays/Thursdays. Shame. Nonetheless, I found 2 galleries (and a shopping area) to visit. After this I was very excited to visit my next gallery, a National Geographic “Now and Then” exhibition featuring really old pictures (early 20th century) and current pictures. The older pictures were one-of-a-kind, and they were all listed as very expensive. I didn’t get a picture of the exterior of this gallery because by the time I got there it was raining too much. But the overall experience of this one wasn’t as I’d expected at all. First of all, the gallery was very stuffy. Apart from letting me in, the staff there did nothing to engage me like the staff at Gayzed had. Second of all, very few of the photos had context. You know, the little blurb caption from the photographer or writer that explains the “who/what/when/where/why/how’s” of the picture. In NatGeo, those are the best! So I looked at a bunch of beautiful pictures with no context, and I ended up blowing thru there pretty quickly. My next stop was meant to be a reportedly good charity shopping area (8 within 5 min of each other or something) but it was still raining pretty good and popping in and out of shops really had lost it’s allure at that point! I will do that charity shopping area eventually, and I will make sure to tell you all about it! 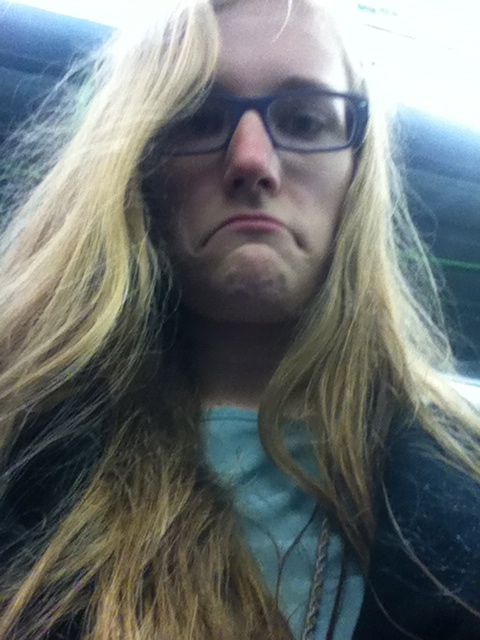 I took a pouty picture of myself on the tube back, wet and downtrodden as I was. an Amanda Bynes look–alike with half brown hair and half fuchsia hair playing on her iPad. This entry was posted in England and tagged Charity Shops, London, On The Tube, Time Out London, Tourism, travel. Bookmark the permalink. “Wednesday Walkabout”? Or is that too Australian- sounding?